← #BookReview: “Stillwater Rising” Struck by how well Steena Holmes tells this heartwrenching story. 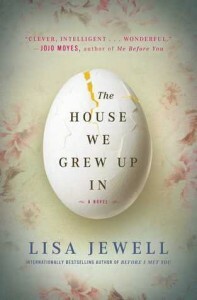 “The House we grew up in” by Lisa Jewell is a masterpiece!! It has one of the best covers, if you were to “judge a book by its cover”, this is it! Perfectly Cracked egg! Perfectly Cracked up family!